Anybody know where I can find those chrome half covers for R model headlights? 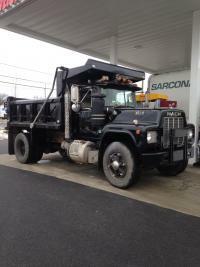 I have a 1985 R model single axle dump, works every day. Getting it painted and looking good. I'm looking for a grille, and polished fuel tank. Mine are too faded and cannot be shined up. Anybody have anything?